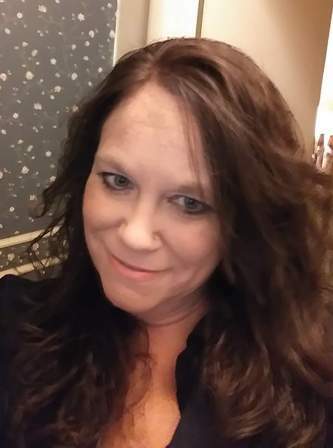 Jodi Marie Oliger, 45, of Fostoria, passed away Monday evening, April 8, 2019, at her home. She was born Nov. 27, 1973, in Findlay, to Edwin Gene and Connie (Frech) Cooper. Survivors include her mother, Connie (George) Williams of Lakeland, Florida; daughters, Brittney Gault Pean of Sandusky and Paiton Oliger of Pandora; sisters, Julie Cooper of Findlay and Jill (Mike) Griffin of Tiffin; stepbrother, Steven Darrell Williams of Murfreesboro, Tennessee; stepsister, Kellie Weiker of Westby, Wisconsin; four grandchildren; and many nieces and nephews. She was preceded in death by her father; son, Steven Oliger; and stepbrother, Barry Lee Williams. Jodi grew up in Findlay, lived in Florida for 13 years and moved back to Ohio in 2017. She currently was working at Sanoh-America in Findlay, was a member of the Findlay Moose Lodge No. 698 and enjoyed fishing, spending time in the sunshine, working out at Planet Fitness, loved animals and spending time with her family and friends. Friends may visit with the family 2 p.m. Sunday until the time of the service at Hoffmann-Gottfried-Mack Funeral Home & Crematory, 236 S. Washington St., Tiffin, OH 44883. Her funeral will begin at 4 p.m. Sunday, April 14, 2019, at Hoffmann-Gottfried-Mack Funeral Home & Crematory, 236 S. Washington St., Tiffin, OH 44883, (419) 447-2424 with Pastor Clayton J. Bailey officiating. There will be no burial at this time. Memorial contributions may be made to a local Humane Society.